The cold winter months might seem like the time to hole up and stop traveling in the USA, with snow and ice forecasts and chilling temperatures below freezing. But au contraire, in the United States, there’s actually a LOT to see and do during this unique time of year. As they say, it’s the most wonderful time of the year! So, grab your winter boots (or your swimsuit) and read on for our suggestions on 25 of the most wonderful winter getaways in the United States. If Christmas festivities and Santa-themed kitsch are what you’re after, the #1 best place to go is to the North Pole! 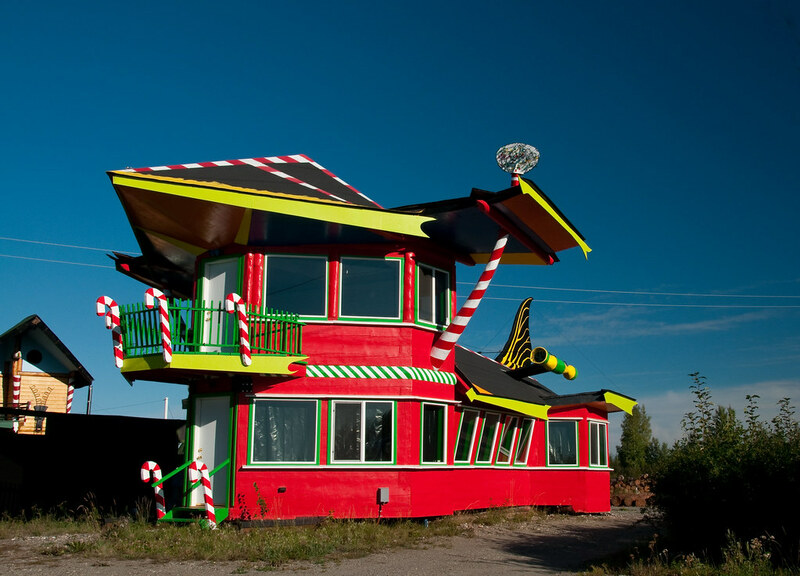 While the actual North Pole isn’t located in the United States, the next best thing is North Pole, Alaska, a small town that’s modeled after Santa’s hometown. Although winter is the natural time to check out this small town, North Pole naturally rocks the Christmas cheer all year. Here, red and white buildings adorn the streets, lights hang from every surface, and in the winter, the whole area is covered in snow. During your visit, you can take a stroll down Mistletoe Lane or simply enjoy the over-the-top Christmas cheer. Where to Stay: There aren’t too many hotels in North Pole, but Hotel North Pole and Moose Tracks B&B are two that are well-loved by travelers in the area. During the holiday season, there’s no more bright or festive city in the United States than the Big Apple. From sparkling lights to Christmas markets, Santa Con to ice skating at the Rockefeller Center, New York offers a huge dose of holiday cheer to anyone willing to brave the cold and windy weather. Cozy up for a warm cup of tea in the Plaza Hotel, go window-shopping on Fifth Avenue, or admire the lights shows around the city. Where to Stay: One of the most beautiful, cozy, and unique boutique hotels in New York City is The NoMad Hotel near Madison Square Park, which offers floor-to-ceiling windows and gorgeous decor. For a more affordable option, the Sohotel is another fantastic and centrally located place to stay. You can check listings and compare prices for NYC here. Nothing says holidays like pine trees, and the Cascades are FULL of them. This evergreen forest spans California, Oregon, and Washington. The evergreen trees here are several decades old, and they stay green year-round, making for some gorgeous winter walks and photos. 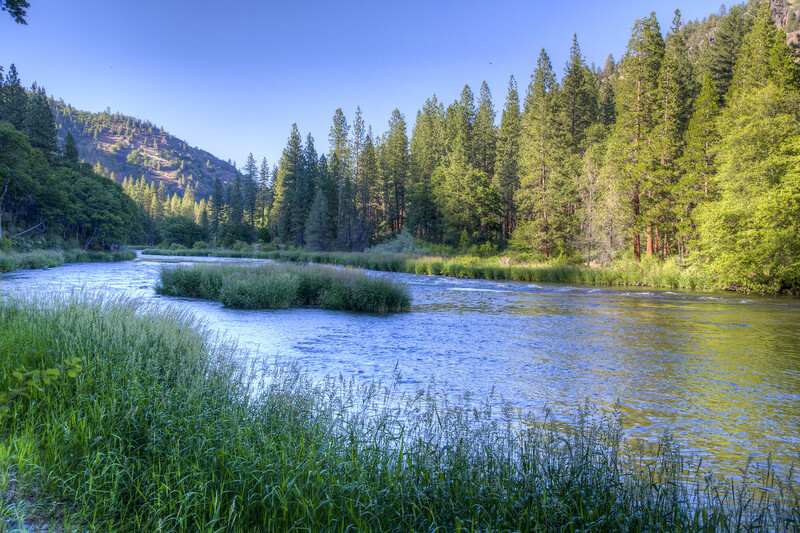 For hikers, the Pacific Crest Trail runs through here, and while conditions may not be optimal during the cold winter months, during warmer parts of the year it’s one of the most iconic hikes in the United States. Where to Stay: The Cascades Evergreen Forests extend through most of the Pacific Northwest, and are accessible from large cities like Portland, OR and Seattle, WA. Baltimore might seem like a very unlikely destination to have on this list, but its holiday spirit warrants its place here. 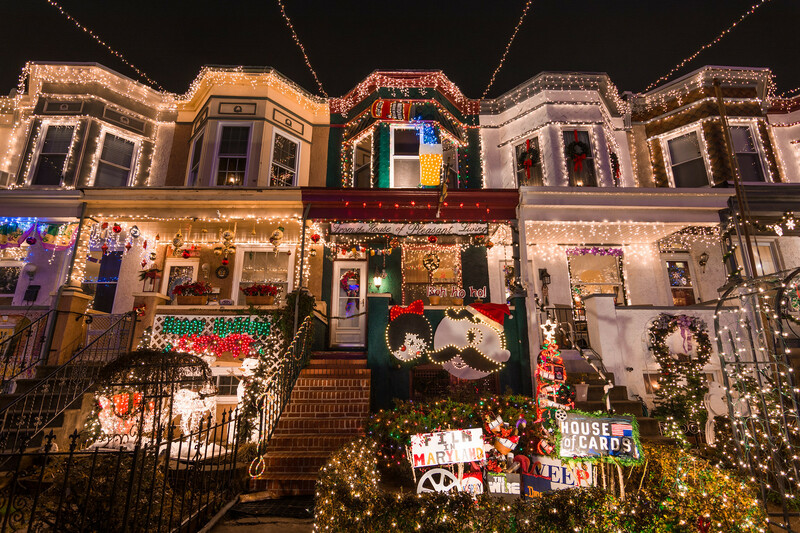 One Baltimore neighborhood in particular takes celebrating the holiday season – Hampden. Here, on a short block of rowhouses on 34th street, one of the most ridiculous light displays in the country takes place. Cheesy inflatables? Check. Moving light shows? Yep. Tons of festive locals and giddy children? They’ve got it all. Where to Stay: The Monaco Hotel by Kimpton in Baltimore’s Inner Harbor is a fabulous and affordable option for travelers in the area. Love it or hate it, there are few places more festive or inviting in the United States than the Disney parks, and luckily, they’re suitable for families or the child in everyone! 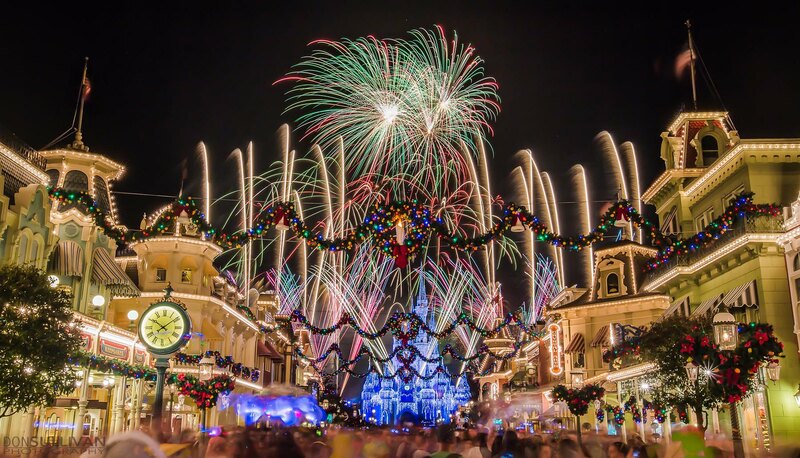 During the winter season, Disney World Orlando offers several holiday-themed classic events like its Very Merry Christmas Party and its Epcot International Holiday Celebration, as well as a nightly spectacular light show from November to January. In California, Disney Land offers several fun attractions as well, including their Viva Navidad! celebration and holiday themed rides. Plus, they’re both located in warm and sunny destinations, perfect for alleviating the winter blues. Where to Stay: For those who want the best location and access to the parks, Disney offers its own resorts in Florida and California. What screams holiday hygge more than a smoldering fireplace, warm apple cider, and disconnecting from the world for a weekend in a beautiful mountain escape? Not much, in our opinion. Grab your coziest blankets and your favorite friends and family and head for the hills for a beautiful winter getaway. The American Southwest, the Rockies, and the Blue Ridge Mountains all offer lovely views and spacious cabins for a reasonable price. 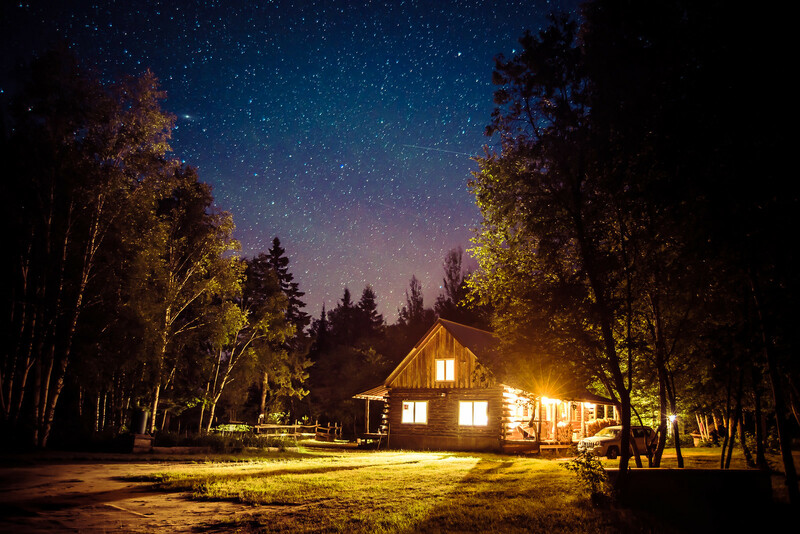 Where to Stay: One of the best ways to find cabins for rent all over the United States is to use Airbnb. You can save $40 on your first Airbnb booking here. One of the most festive places to visit in the United States during the holiday season is Asheville, NC’s Biltmore Estate. This former residence is America’s largest, and was once the home of George Vanderbilt. 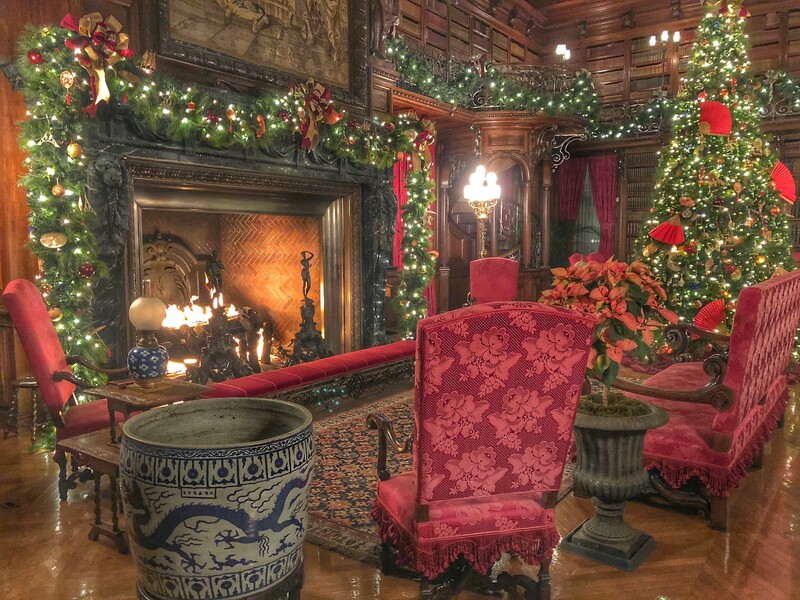 During the winter months, the entire 12,000 square foot mansion is beautifully decorated with holiday cheer. After your visit to the mansion, you can enjoy Asheville’s other wonderful sights or sample local wines and snacks at one of the Biltmore Estate’s 6 restaurants. Where to Stay: Asheville’s Grand Bohemian Hotel is one of the most beautiful properties in the city, and is a comfortable and stylish place to spend a few days away. Many US national parks have limited access during the winter due to snowy weather conditions, but Big Bend is quite the opposite. Winter is the best time to visit this stunning national park on the Texas-Mexico border as the weather is cooler and more balmy than the hotter summer months. Here in Big Bend, the Rio Grande winds its way through the canyons and plains of this beautiful, less-visited park, which offers several day hikes, multi-day treks, and camping options for adventure lovers. Hike the rim of the Chisos Basin, or simply spend your nights staring up at some of the darkest skies in the country. Where to Stay: There are several camping options in Big Bend National Park. However, if you’d rather stay in a hotel, the Chisos Mountains Lodge is the most central option, as well as a few inns and B&Bs in nearby Terlingua, TX. 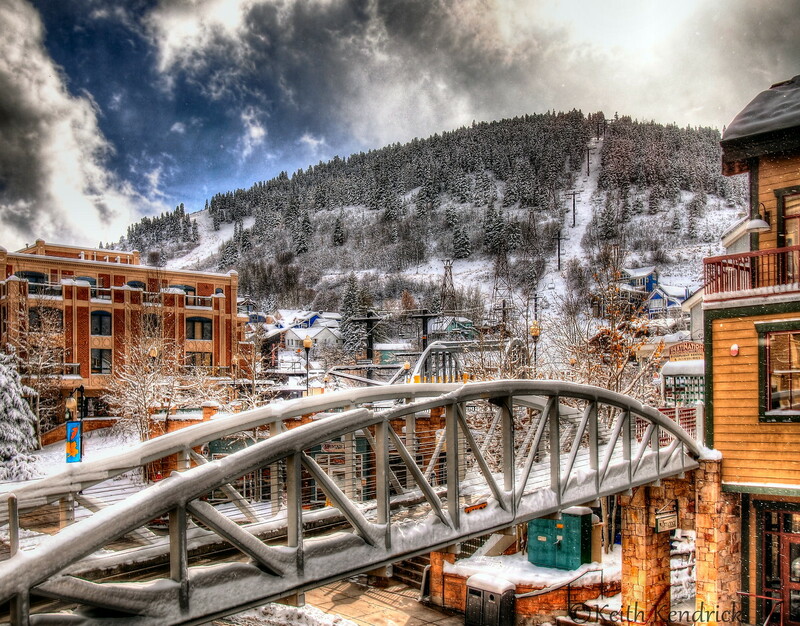 Park City, Utah is somewhat of a mecca for winter travel. Aside from its famed ski resorts, Park City also offers many winter activities for non-skiiers as well. Sleigh rides, dog sledding, and snowshoe lessons are just a few of the fun, winter-themed activities available in the Park City area. Where to Stay: While there are tons of charming resorts and hotels here, many travelers love the Park City Marriott due to its central location and affordable prices. 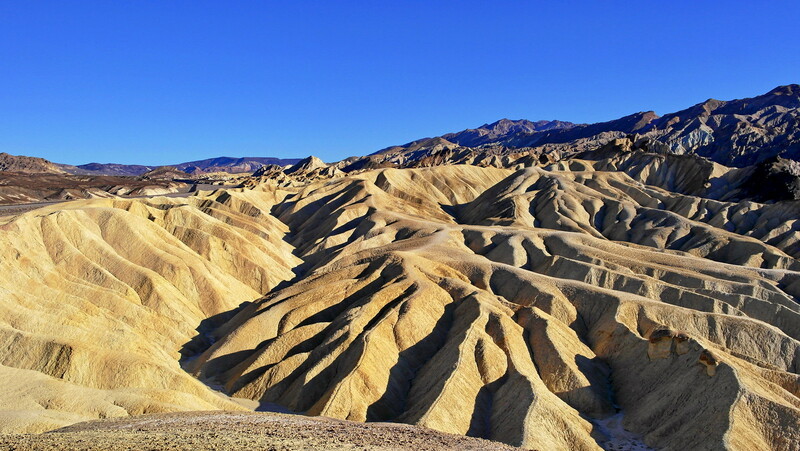 One of the most spectacular natural attractions in the USA, Death Valley, comes to life in the wintertime. With cool temperatures, dry air, and little precipitation, winter is the perfect time to visit this expansive and unique national park. Lace up those hiking boots for a walk along the dozens of trails in the park, or take a road trip around the beautiful roadways and admire the snowy mountains that surround the park. Visitors can even camp in the park during the winter months, which isn’t common in many other areas of the USA. Where to Stay: There are several campsites in Death Valley National Park. However, if you’d prefer a hotel, the Stovepipe Wells Village Hotel is a fantastic option. If there was ever a true winter wonderland in the United States, it would be in Jackson Hole, Wyoming. Surrounded by snowy mountains and charming lodges, Jackson Hole is most popular amongst skiiers but is a perfect winter destination for solo travelers and families as well. Other winter activities in Jackson Hole include ice skating, sleigh rides, dog sledding, and wildlife watching. Where to Stay: The Lodge at Jackson Hole is a popular and central resort within Jackson Hole, Wyoming, complete with a year-round outdoor hot tub and spa. What would Santa be without his trusty reindeer companions? Believe it or not, you can meet and interact with these beautiful creatures right here in the United States. One of the only places in the country where you can see reindeer is in Fairbanks, Alaska. 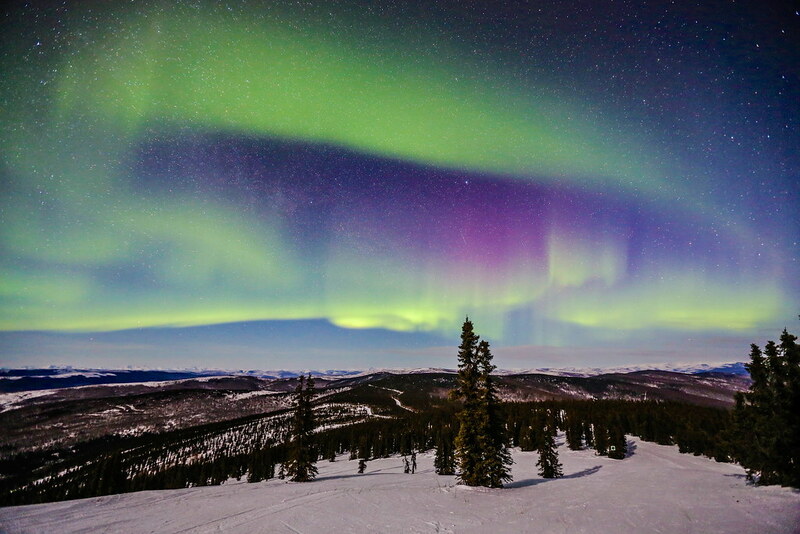 While it may seem crazy to visit Alaska during the cold and dark months of the year, it’s actually a lovely way to celebrate the winter season. Not only can you see reindeer here, but you also have the opportunity to catch the northern lights when the sun disappears from the sky. To hang out with reindeer, you can head to Running Reindeer Ranch, a very well-respected reindeer farm that encourages visitors to meet and greet the animals. Where to Stay: The Mount Aurora Lodge is a beloved lodge located in Fairbanks, Alaska. It boasts cozy, log cabin-style interiors and beautiful views. Stowe is a skiier’s mecca and is located in one of the most beautiful parts of Vermont, especially in the winter when it’s covered in snow. Bundle up and hit the slopes, or simply cozy up in a ski lodge with hot chocolate and a view of the mountains. Either way, you’re bound to have a relaxing and fun trip. Where to Stay: The Stowe Mountain Resort is the main resort in the area and is a fantastic place to base yourself for ski and winter excursions in the Stowe area. 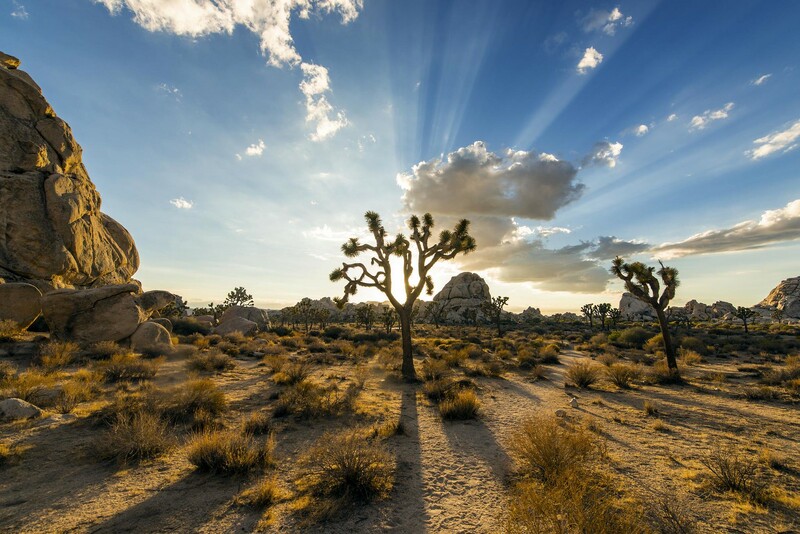 If you’re looking to escape the crowds and enjoy one of the US’s most beautiful national parks, head to Joshua Tree in the winter months. Winter is one of the best times to visit Joshua Tree because it’s still very accessible due to low precipitation, but the summer crowds are greatly diminished. While it can get quite cold in the night time during the winter months, winter still offers great weather for hiking and outdoor activities during the day. Where to Stay: There are plenty of campsites scattered around the park. However, if you’d prefer more luxe accommodations, Desert Lily B&B is an excellent choice. 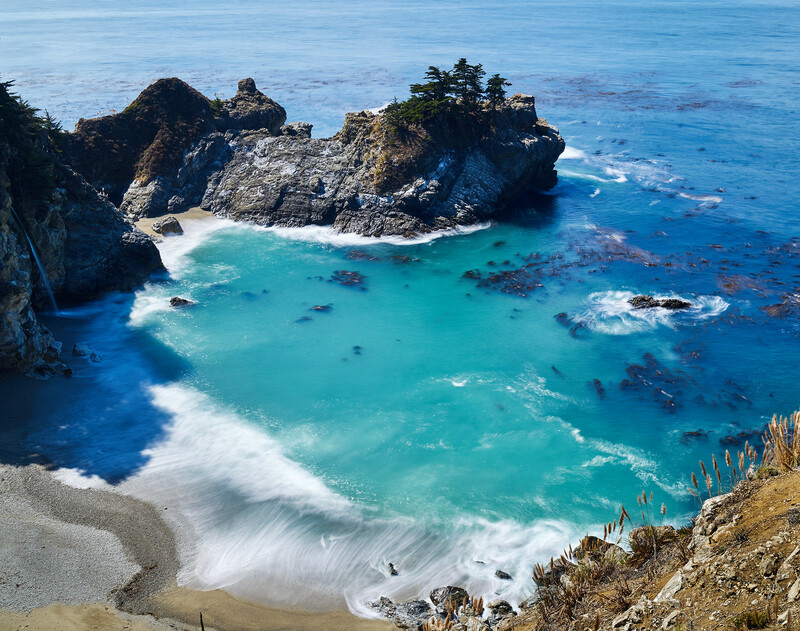 One of the most wonderful road trip itineraries in the entire United States is on the Pacific Coast. On this route, you’ll see beautiful cliffside ocean views, evergreen forests, and amazing mountainous landscapes. 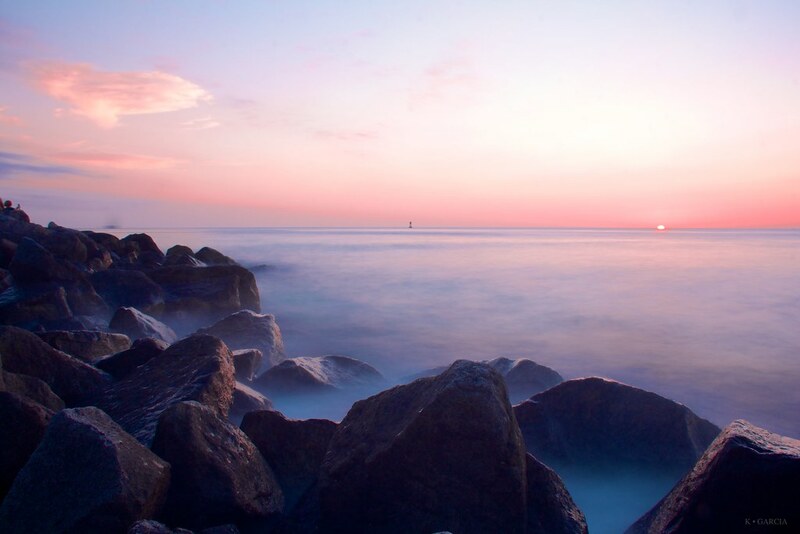 Whether you just have a few days or a few weeks, you can choose a route on the Pacific Coast that works best for you. If you’re not from the West Coast and need to get a car, many car rental companies (like Hertz or Avis) offer one-way drop offs for an extra fee. 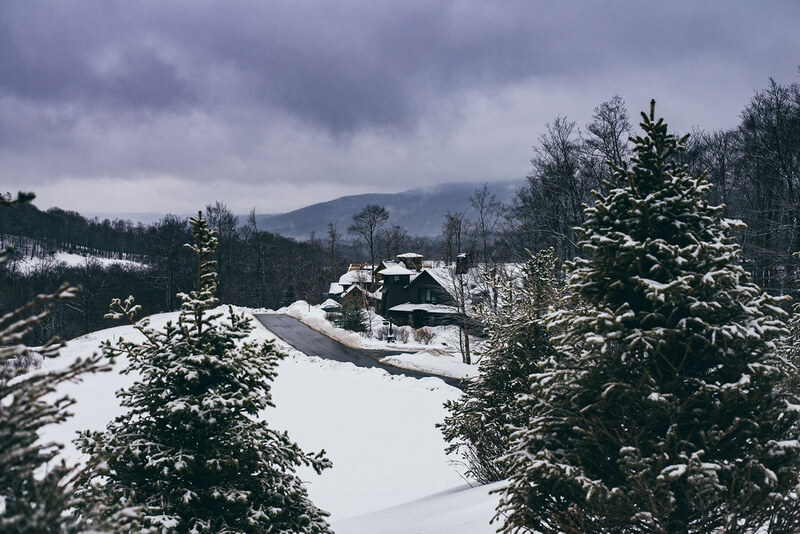 If you’re dreaming of hiking the Appalachian Trail but don’t want to wait until the summer months, why not take a Appalachian road trip this winter instead? There are many areas near the Appalachian Trail that are driveable, and offer beautiful, misty views of the Appalachian Mountains and small towns along the way. If you’re not from the East Coast and need to get a car, many car rental companies (like Hertz or Avis) offer one-way drop offs for an extra fee. The classic American itinerary, Route 66 is the perfect way to explore much of the Southwestern United States. Route 66 passes through 8 states, including Texas, Arizona, and California. Along the route, there are many national and state parks, as well as classic diners for sampling some southwestern fares. If you’re not from the Route 66 area and need to get a car, many car rental companies (like Hertz or Avis) offer one-way drop offs for an extra fee. Prada Marfa is the perfect stop on any Texas road trip. While summer is unbearably hot in Texas, winter is probably the best time to travel through this vast state. In much of the state, the weather in winter is cool and dry, perfect for a road trip adventure. You could drive for days just visiting the small towns, ghost towns, and beautiful parks in Texas. Some of the best attractions in Texas include Big Bend National Park, the Texas Hill Country, Marfa, Guadalupe Mountains, Cadillac Ranch, and of course, the big cities including Houston, Dallas, and Austin. If you’re not from Texas and need to get a car, many car rental companies (like Hertz or Avis) offer one-way drop offs for an extra fee. On the recovery from Hurricane Maria, Puerto Rico is making a comeback as a wonderful beach destination. Even better, money spent in Puerto Rico helps locals who are continuing to rebuild after the disastrous effects of the hurricane. Here, you can find stunning blue beaches, the charm of Old San Juan, and a strong Latin influence, without having to leave the United States. 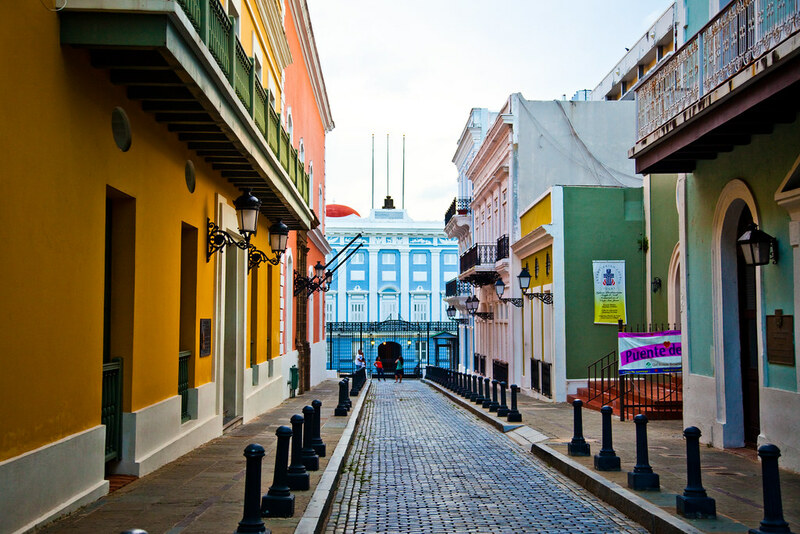 Where to Stay: Hotel El Convento in San Juan comes highly rated by fellow travelers as a comfortable and central accommodation option in Puerto Rico. 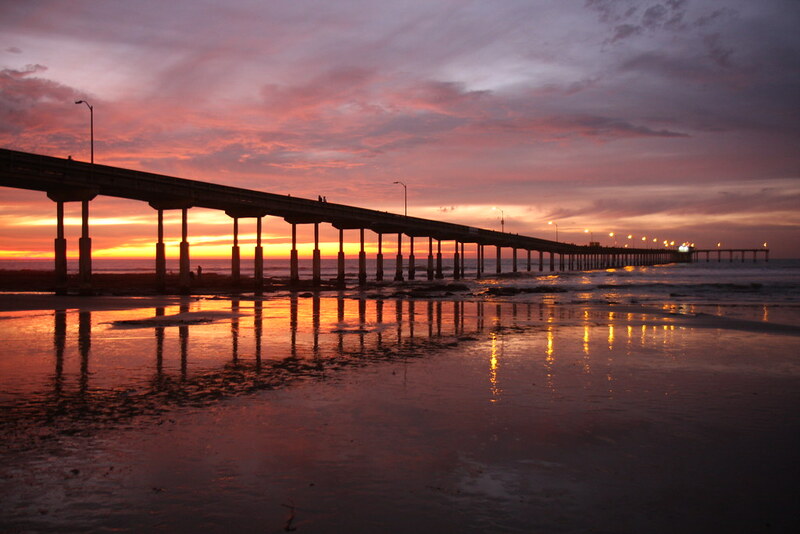 If you’re craving sunshine and want to get away from the winter blues, head down to the sparkling beaches of San Diego. Here, the weather is basically perfect all year round, and it’s the perfect place to get some Vitamin D during the winter months. Take a stroll through one of the city’s quirky neighborhoods, sample Mexican-influenced cuisine, or just lounge around at the beach – there’s never a shortage of things to do in this vibrant city. Where to Stay: The US Grant Hotel is a beautiful luxury hotel located in San Diego, and comes highly recommended as one of the best places to stay in the city. Warm weather, unique local culture, and beautiful outdoor areas characterize the bustling capital city of Texas. Austin’s slogan is “Keep Austin Weird” and it definitely lives up to this reputation with a wide variety of locally-owned cafes, boutiques, and walking areas. 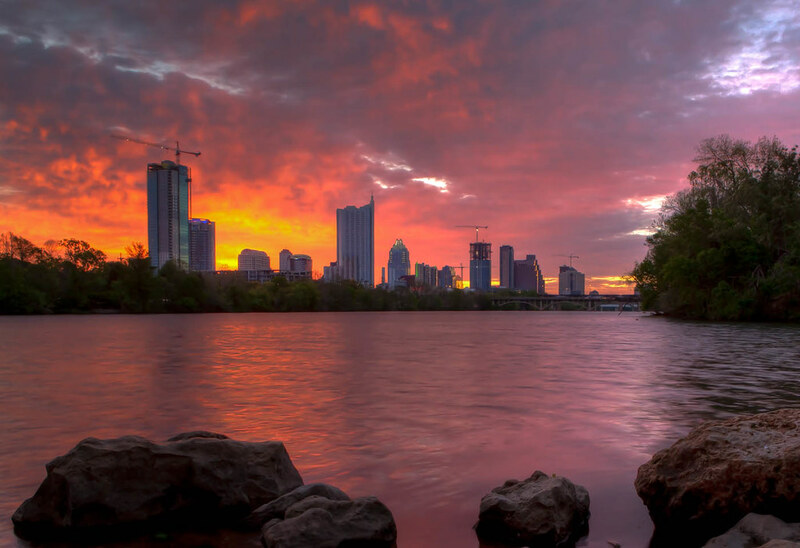 Winter is the perfect time to visit because the weather in Austin is cool but not cold, perfect for a morning run by the river or a stroll in South Congress. Where to Stay: The W Austin is a lovely, centrally-located riverside hotel with upscale amenities and wonderful sunrise views. If freezing weather and a lack of sunshine are making you crave turquoise, clear water and golden sand, head to Key West for a getaway that will leave you with sand between your toes. Many resorts offer great deals to travelers simply wanting to get away and relax. If you are looking for a bit more action, you can snorkel or scuba dive to see marine life in the warm waters as well. Where to Stay: The Casa Marina Beach Resort is a perfectly located, high-end beach resort in Key West that travelers in the area absolutely love. Hawaii is a popular winter getaway for a reason – because it’s the perfect sunny and beautiful escape from winter gloom on the mainland! If you’re dreaming of sitting on a perfect beach in a beautiful place, there’s no lack of options for you on one of Hawaii’s many islands. 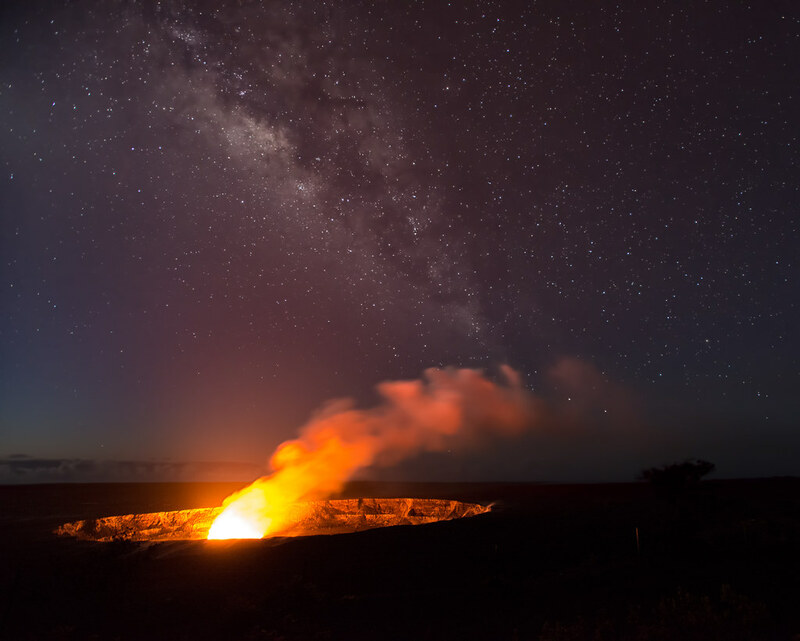 Adventure seekers can take a helicopter ride over Volcanoes National Park, or go for several hikes around the different islands. There are also endless diving and snorkeling options. Where to Stay: There are many islands in Hawaii, so where you’ll stay depends on which islands you choose to visit. Divers, snorkelers, and beach bums unite! 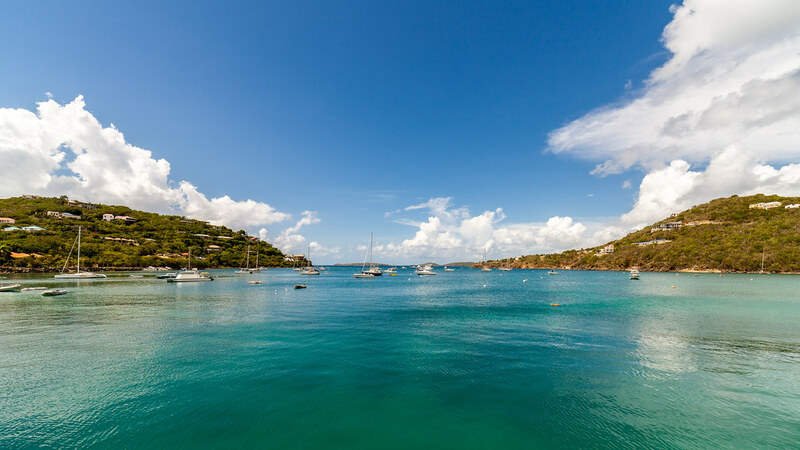 The US Virgin Islands are the perfect getaway for you. Located in the Caribbean, the beaches here feature amazing, clear waters and white sands, with plenty of resorts for those who want a true relaxing vacation. With reasonable flights from many cities in the USA, it’s a perfect vacation place that’s not too far from home.